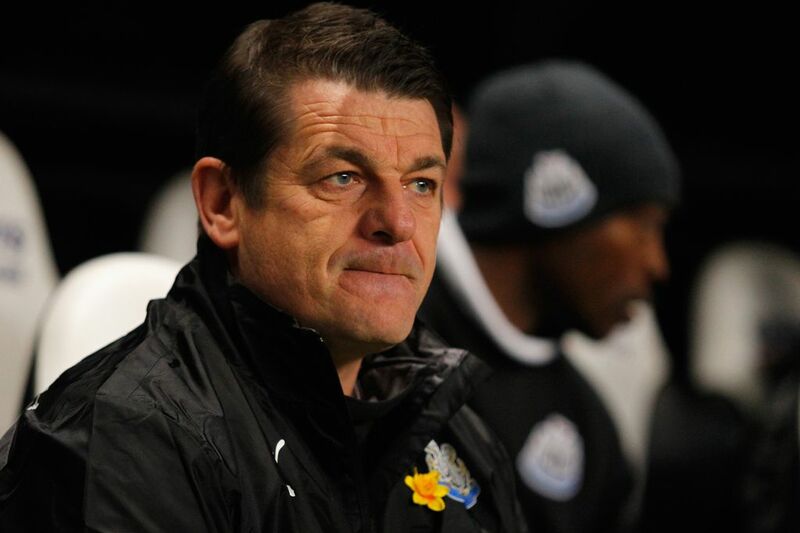 Newcastle United will end this season in the black but feeling blue. It has been that kind of campaign: profits off the pitch but put in their place by the teams they should at least be keeping pace with. Two years ago they skipped away from Goodison Park having sewn up fifth in the league ahead of Everton: twice this season they have been out-played by rivals in royal blue. For Mike Ashley, peering on from the directors’ seating, we can only hope that the message communicated by last night’s humbling was heeded. Everton have not spent extensively, just wisely – and in manager Roberto Martinez they have discovered a man capable of notching them up another level from the functional side that David Moyes had established in the top six. There remain questions about Newcastle United under Alan Pardew, and in truth questions about the manager too. They will comfortably tick the top ten box and that will keep the United boss in a job but the current system and set-up looks stale. They were far too predictable in the second half and undone by the rapier raids of Ross Barkley and Romelu Lukaku, two players who emphasised the gap in creativity and cutting edge between two teams supposedly scrapping over the same territory in the upper reaches of the Premier League. Newcastle are nowhere near the Everton standard at the moment. Injuries to Loic Remy and Mathieu Debuchy have left them looking ordinary; devoid of cutting edge, creativity and any kind of composure. Defensively they looked suspect and they were blunt up front: a lack of balance that was exposed by a good Everton side. To be fair, this was not one way traffic. At times they enjoyed purple patches against the Toffees but they lacked the conviction to replicate Everton’s successful raids into their penalty area. So what will Pardew, ensconsed safely at the training ground as he served the final match of his three-game stadium ban, have learned from this? Perhaps the biggest lesson is that if Newcastle are to add a form of cutting edge to their game next season, the continuing presence of Luuk de Jong in their line-up might not provide a ready solution. The Holland international has something: a sureness of foot in the final third that is pleasing when utilised correctly. Unfortunately that is completely undermined by a lack of conviction and cutting edge in the final third. The loan man simply doesn’t look like he’s going to score any time soon. Secondly there must be the creeping realisation that this midfield set-up is not going to cut it in the long-term. The Newcastle boss can wish all he wants for the sort of creative players at Martinez’s disposal but if he continues to deploy them so functionally, United will continue to bang their heads against a Premier League glass ceiling. Last night there was, once again, a dash of devilment about Hatem Ben Arfa when he entered the fray in the second half. His jinking run and cross for the unfortunate Vurnon Anita was the highlight of the evening from a black and white perspective, and further evidence that Newcastle must find a way to accommodate this rare talent. What a strange end to the season this will now be. Newcastle’s league place is respectable enough but the stats are worrying: goalless in nine of their last 13 games, unable to score in six of the seven games Loic Remy hasn’t played in and having shipped three or more goals in three of their last five home matches. There is something brittle about a technically sound Newcastle squad that is emphasised by the most damning statistic of all: that in 12 games where Newcastle have conceded first, they have lost 11. There are some deep-rooted issues that will need to be solved if United are to move forward. Ironically, the opening exchanges were the polar opposite of Saturday’s sopporific showing. Prompted by Moussa Sissoko, Newcastle began with a rare intent and might have been ahead within two minutes if Yoan Gouffran hadn’t miskicked after being teed up smartly on the edge of the penalty area. It was an ominous sign of things to come. It has been a frequent lament at St James’ Park this season but once again, Newcastle lacked sufficient cutting edge to turn that early pressure into any kind of advantage. In stark contrast, Everton struck decisively during their purple patch – and it was some strike from young England midfielder Barkley. Newcastle ceded possession on the halfway line and Barkley needed no invitation to sprint into the United’s penalty area, dissect some porous tackling and rifle a superb shot past Tim Krul. The hosts showed enough in the first half to suggest they could come back but the impressive Gerard Deulofeu teed up Lukaku for a killer second goal and United could not muster much of a riposte. Newcastle had an absolutely marvellous opportunity to haul themselves back into the game when substitute Ben Arfa jinked past three blue shirts and fizzed a pass into the penalty area. Vurnon Anita was unchallenged and unhindered by a visiting defender but somehow he conspired to screw the chance wide of Tim Howard’s goal to loud groans from the home supporters. Late in the game, Leon Osman added a third to compound Newcastle’s misery. Do Newcastle's kids have the intelligence to succeed?